Managing Student Grade Change Requests- Help Manual for Students. Student preference is to be collected online after result publishing if a student gets different grades in both Revaluation and Supplementary. There is a feature for the student to opt for the grade is to be considered as his/her final grade. 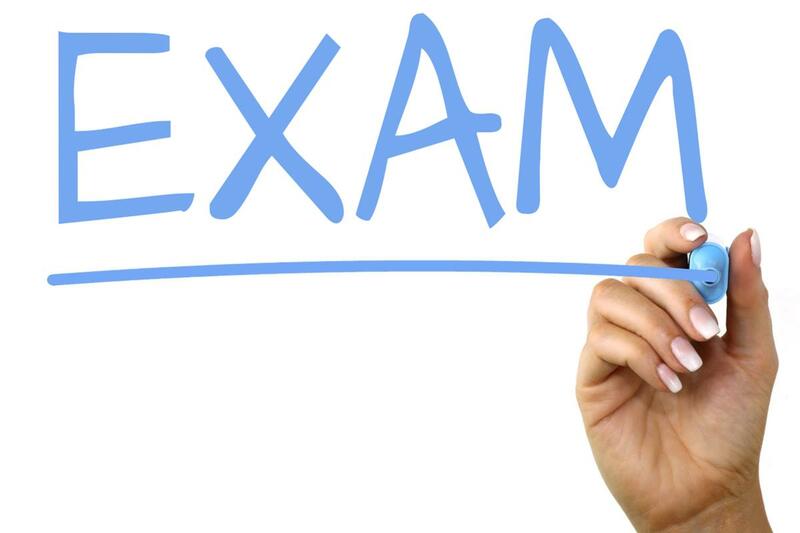 If a student has more than one pass result for a course (for example, one from a revaluation and the other from a Supply), the student can choose the Exam Result to be considered, accordingly the grade and passing month/year are shown. Student can request from his/her portal. Once University approves the request, the semester grade card should be regenerated. 1.Go to Login Portal → Result → Exam Grade Change Request. 2.The page displays the already existing grade change requests. 3.Click on Add button on the top right to add new grade change request. The page navigates to Student Exam Grade Change Request page. Here, the student can select the desired Semester and Course for which grade change is required (ref below image). 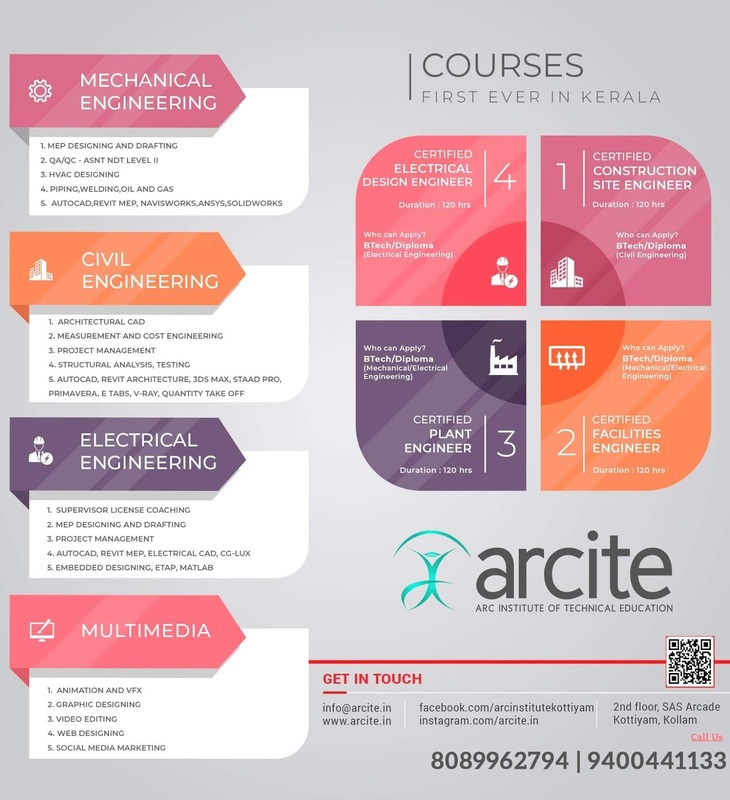 4.When a course is selected, the page displays the grades related to the selected course. 5.The grade currently available for the selected course in student’s curriculum will be displayed as Existing Grade. (ref below image). 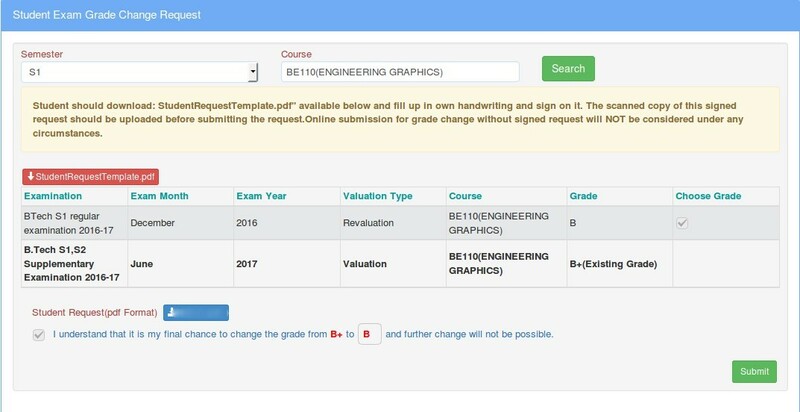 6.The Choose Grade check box will be displayed against the other grade of the course. (ref below image). 7.Click on StudentRequestTemplate.pdf file (see above) to download the format of request letter available (screenshot of the file is below). 8.Check Choose Grade, to enable the grade change request. 9.Print the downloaded StudentRequestTemplate.pdf file, fill it up in student’s own handwriting, scan, obtain attestation of Staff advisor / HOD(with college seal)and upload it. 10.Check the declaration as shown below and click Save button to save the changes. 11.Submit button will be displayed after saving (as in the below image). 12.Verify the details and click Submit to submit the grade change request to the University. 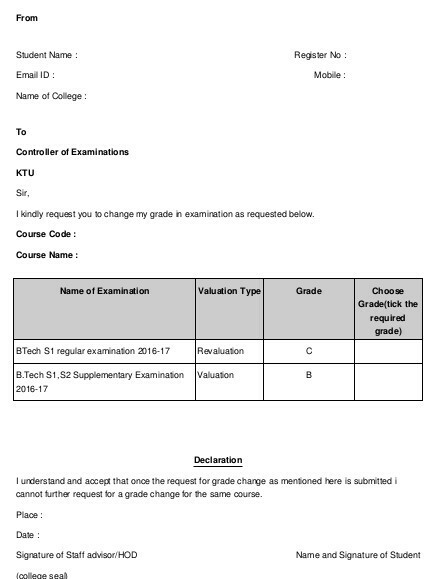 KTU Managing Student Grade Change Requests- Help Manual for Students Student preference is to be collected online after result publishing if a student gets different grades in both Revaluation and Supplementary. There is a feature for the student to opt for the grade is to be considered as his/her final grade.